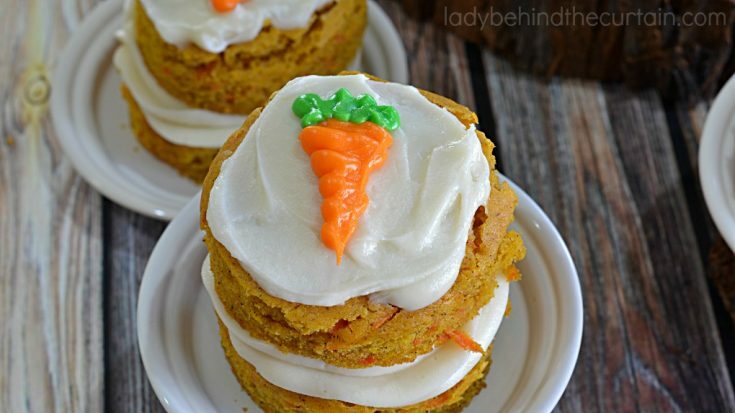 Mini Carrot Cakes | Easter just wouldn’t be complete without a homemade carrot cake! This year change it up a bit and instead of serving a sheet cake dress it up and make mini cakes! 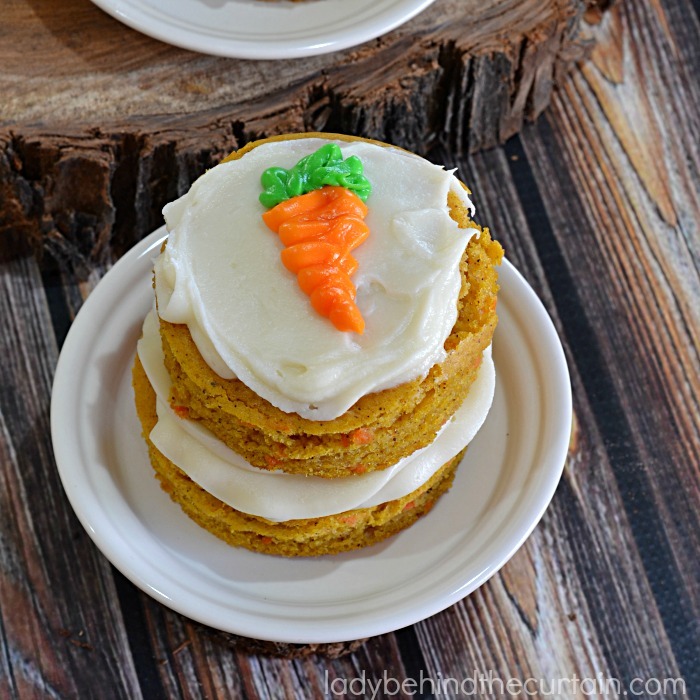 These little cakes are moist and so adorable with a little carrot on top made from some of the cream cheese frosting. I am confident that your guests will be impressed and satisfied with these mini desserts. Bake the cake as directed; use a 2 1/2-inch circle cutter. Don’t worry about the scraps I have an idea for those too that the kids will LOVE! SCROLL DOWN THE SEE! Add a ring of frosting to one circle. Place another layer of cake on top and frost. Frost the top. Draw a squiggle line (large at the top coming down to a point) with the orange frosting. Draw a zig zag with the green frosting for the leaves. 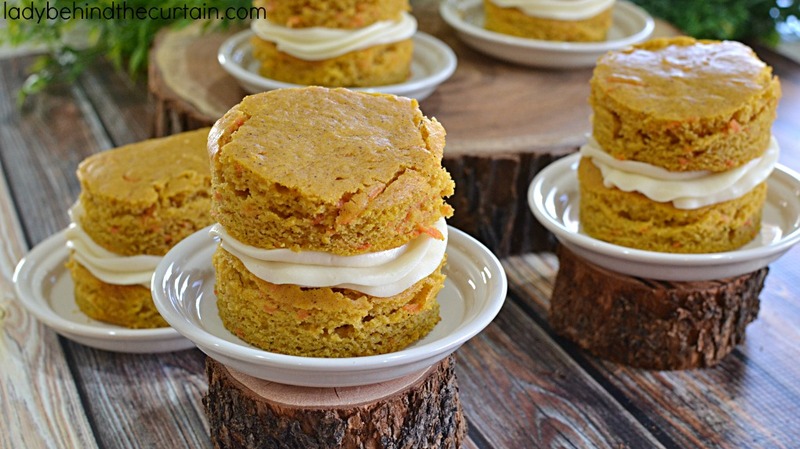 You can also serve these cakes in a single layer too. I had some leftover cake and frosting so I decided to make the kids some cake pops. They totally thought they were awesome! For added fun pack some up for the Easter Baskets! Line 13 x 9 x 9 2-in. 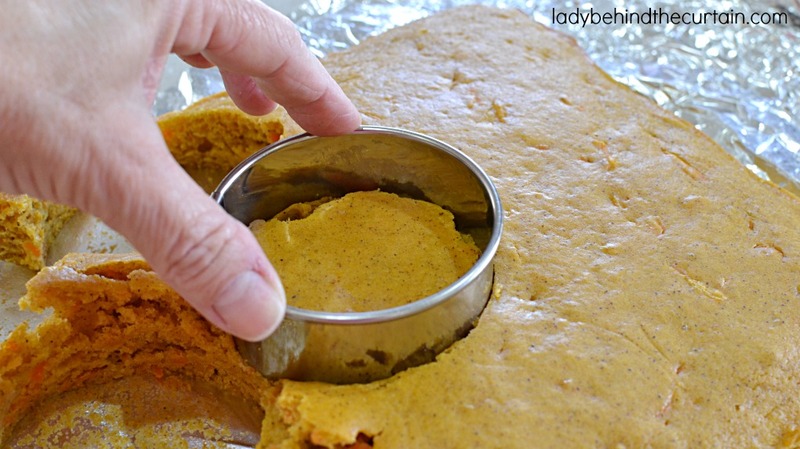 baking pan with foil, extending it over sides; coat with nonstick cooking spray. Whisk flour, baking powder, cinnamon, nutmeg, baking soda and salt. In another bowl, whisk baby food, fresh carrots, orange juice, sugar, oil, egg and vanilla. Stir wet ingredients into dry ingredients just until blended. Bake 20 minutes or until wooden pick inserted in center comes out clean. Cool in pan on wire rack 10 minutes. Using foil, lift cake from pan and cool completely on wire rack. Beat together the cream cheese, butter and vanilla until creamy. On low, beat in confectioners' sugar. Using foil, lift cake onto work surface. With a 2-1/2-inch round biscuit cuter, cut out 12 rounds from cake. Place 1/2 cup frosting in a cup and tint orange. Place 1/4 cup frosting in another cup and tint green. 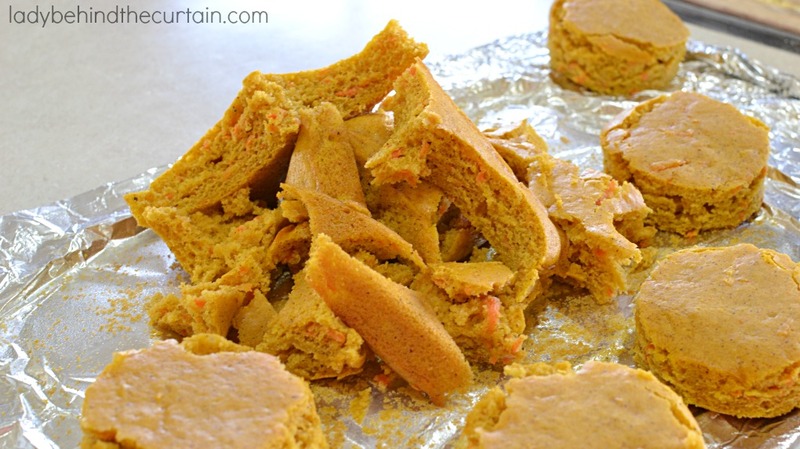 On half of the cake rounds, spread 1 tablespoon frosting each; top with remaining round. 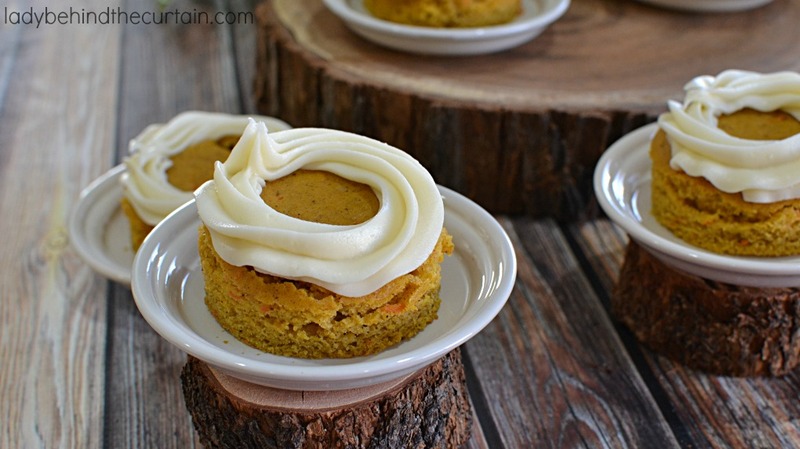 Frost each top with a heaping tablespoon. 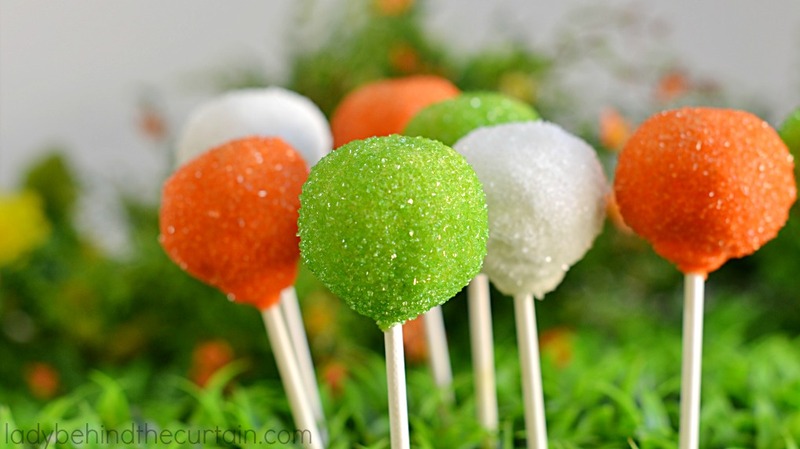 Place orange and green tinted frosting in separate quart size zip top bags. Snip off tip from each bag; pipe orange carrots in a zip zag pattern, starting with a large zig zag and ending in a point add green tops on cakes. The decoration is so cute! SO cute! I love these! This is a perfect easter dessert, and they look beautiful. 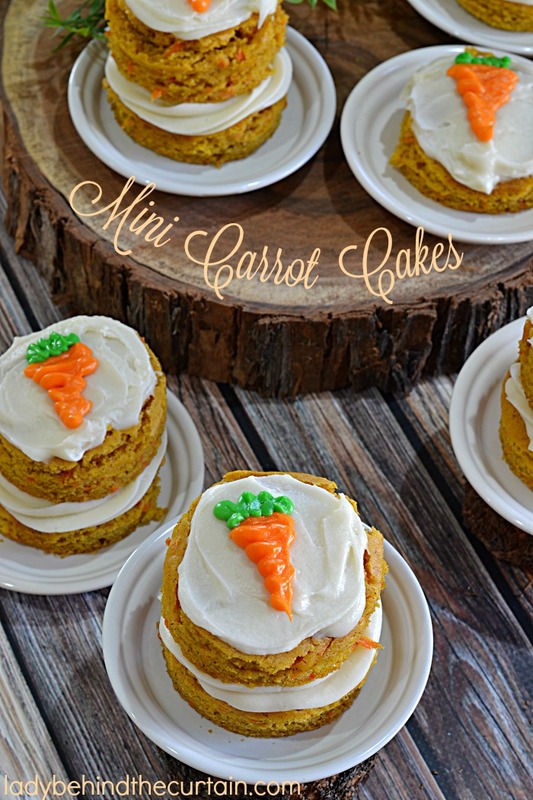 I love mini cakes, especially carrot ones. Yum! 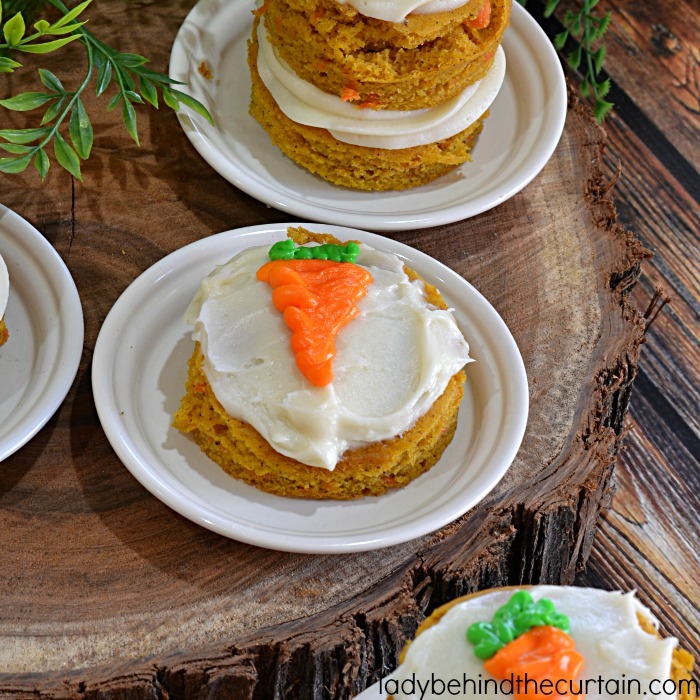 I just love your Mini Carrot Cakes, they are just precious and perfect for this season. Hope you have a great week end and thank you so much for sharing with Full Plate Thursday. These minis are being featured this week. They are adorable.